Yo. I remember seeing this video for the first time. It always cracks me up how, if you’ve been to a more “urban” rap show, rappers would always have like 5 – 10 of their friends just up on stage bouncing around. Kanye, in true Kanye fashion, took this idea and multiplied it a billion times. AND IT’S AWESOME. The flame throwers are what really got to me. Once I saw those, I was like Kanye damn did it again. The track was produced by newcomer Velous (with coproduction from a whole lotta people). Velous came up by producing beats for French Montana. That growly bass used sparingly in the song is a great touch. As much as I love the true 808 basses, I like how Kanye really diversifies and makes the beats he uses standout from typical trap tracks. That wall of brass bass and chorus is also awesome. Followed by some nice contrast with the angelic singing and the Allan Kingdom hook. “24/7, 365 days, everybody gettin’ paid” Ohh shiieet ! Im also starting to kind of understand debits and credits. For as long as I can remember, I have never been a numbers person. I took an accounting class when I was 19. Got a 37%. And that was me trying ! That’s gonna change. You all gonna respect me for ability to do basic book keeping ! I am gonna record my kaizen-like journey into book keeping and how I am gonna use it for music. Like for example tomorrow, Im going to play a show in Bloomington, IN. and I have absolutely no idea how to record it. But I will soon. Here’s 4 Reasons to Keep Records from Canada Business. Kaizen is the idea of continuous improvement. In anyway shape or form. Today, write a lyric. Write a poem. Play guitar. Watch a Reason tutorial video. Read a book on How2Rap. Run a few laps around your block. Do those vocal exercises. Find out who Robin Frederick is. Do something that will make you 1% better than you were yesterday. Of course, always feel free to go more than 1%. go 110% if you want. I mean, let’s admit it. Unless you’re from Seattle, the most exciting part of that Super Bowl really was the halftime show. I mean, don’t get me wrong, props to the Seahawks for being awesome and dominant, but I don’t think anyone saw that coming at all. I feel like the Bruno Mars haters are a bit out of line. There are always people talking about, wow I wish music was the used it to be. Well, muthafucka, here it is! Bruno Mars is a direct throwback to the good old 40s 50s 60s style of music. Just a pure out powerful voice, James Brown dance moves and inhouse songwriting that makes a complete entertainer ! A while back I wrote an article on why it is a great idea to play as many open mics as you possibly can. And I still believe in that idea. It’s all about experience, experience and more experience. Those minutes spent add up and before long you’ll start seeing a major difference in your entire swagger. But then it came to me, another great reason to play open mics. You get to see what the crowd responds to. I’ve noticed which songs get the least crowd response and which one gets the girls dancing. Note to self, write more songs like those. It’s like it’s own market research. So play as many of them as you possibly can ! 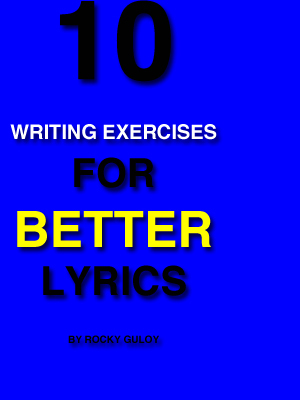 Rhythm is SOOOO important when it comes to songwriting. Learning that backbeat and learning how to count to 4 is the most fundamental and important a musician needs to learn. All of pop music follows that 4/4 pulse. Take this Avicii and start counting 1 2 3 4. There’s a lot of lessons we can learn from Eminem and Rihanna’s latest pairing. My favorite story of all time is Stephen King’s The Dark Tower. Recently I’ve gotten a chance to read the comics, which is more of a prequel to the novels and it’s really been great to visit that universe. Or as they say in their world, that level of the tower. The story is about a gunslinger name Roland who is trying to reach a place which he believes will solve his problems. Along the way, he meets a lot of friends and overcomes ALOT of hardship. The man sees some shieet ! 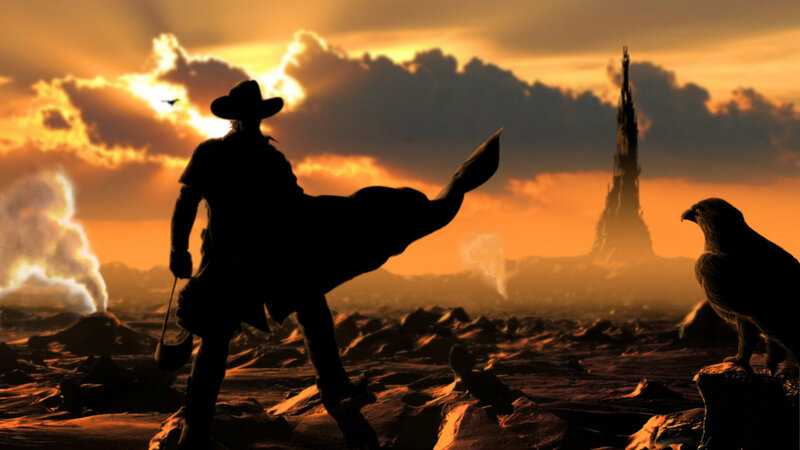 There are a lot of things musicians can learn from Roland Deschain, son of Steven Deschain. Lots to be learned from this interview from the soft spoken and analogy-articulate Brandon Boyd. The whole video is filled with metaphors about the artist and manager relationship. Brandon keeps it entertaining by describing the sometimes rocky relationship where him and Steve almost want to kill each other to the necessity which they need. Get free information and articles sent directly to your inbox without having to search for more! Join Us Today ! DOWNLOAD MY FREE E-BOOK !